The slab calculator is free to use but you'll need to register for an account before you can get started. Registration only takes a minute and once you're registered you'll have unlimited access and can create and save multiple designs. System Requirements: The slab calculator requires the free Microsoft Silverlight plugin. You'll be prompted to install it if it is not already present. Incompatible with some versions of Chrome, if you experience problems loading try Internet Explorer or Firefox. Privacy: Your privacy is important to us. We will never sell, rent or share your information. 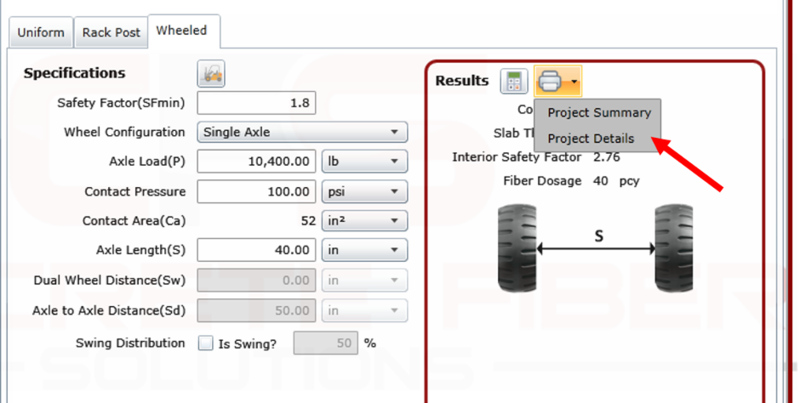 The CFS Slab calculator allows you to quickly and easily calculate slab thickness and fiber dosage as well as generate downloadable design documentation for your project. 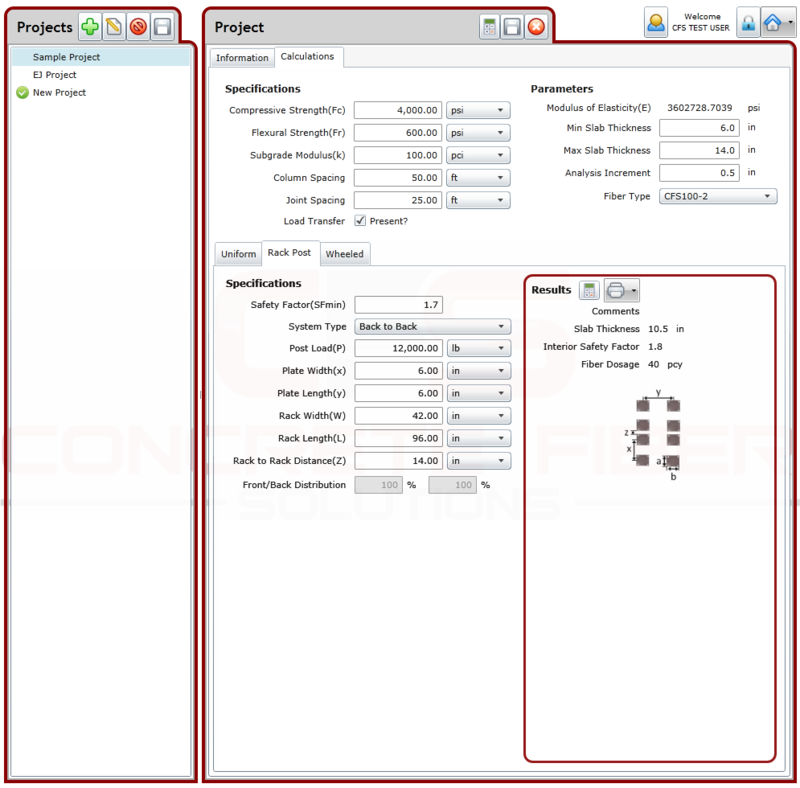 Using the CFS Slab Calculator you can quickly and easily generate designs and specifications for uniform loads, wheeled loads and rack post loads. Click the green + button to start a new project. 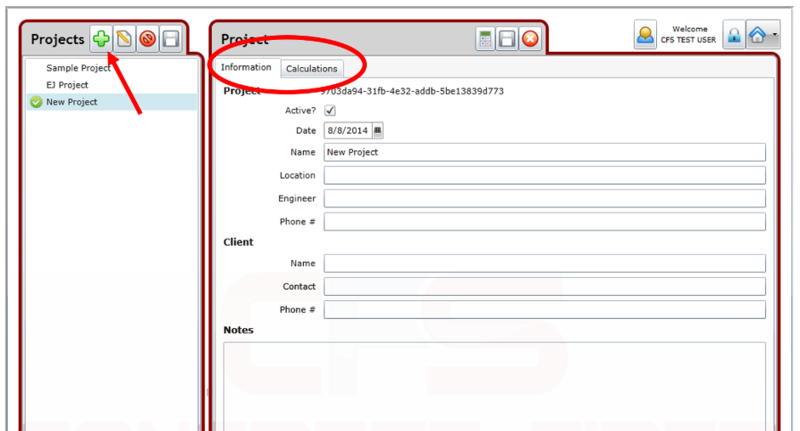 Use the “Information” and “Calculation” tabs in the project window to fill in the project details. Select from Uniform, Rack Post, or Wheeled Load designs and enter your specifications. Use floppy disk icon to save your project. You’ll be able to return and edit it at any time. 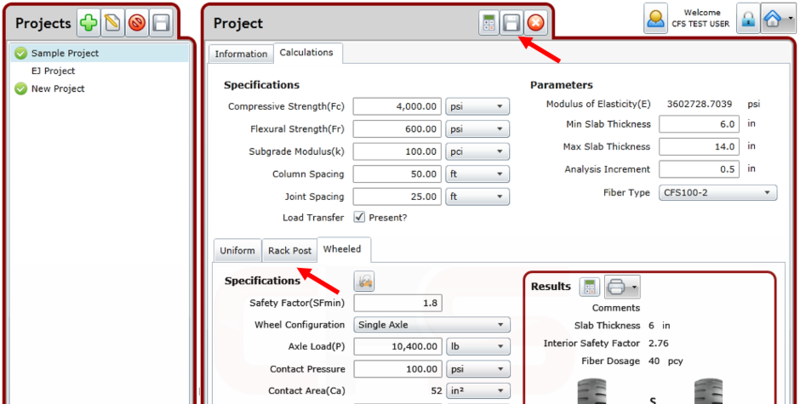 The printer button allows you print either a Project Summary or Project Details document that includes the detailed calculations for your project. 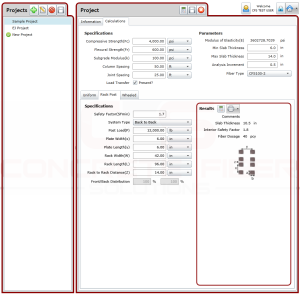 From the print screen you will also have the ability to save your file in a number of formats including PDF, and Excel. Expert design assistance is only a call or email away.